Mrs. Daniella L. Zintek, age 93, of Grand Haven went to be with her Lord and Savior on December 24, 2018 at Hospice of North Ottawa with loved ones by her side. She was born October 23, 1925, in Zagreb, Croatia to Benjamin and Regina Bec. 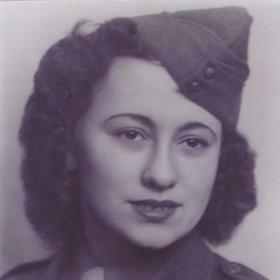 During World War II, Daniella was an interpreter for UNRRA in Germany where she spoke 5 languages and where she met her husband to be, Joe. On March 23, 1946, she married Joseph Zintek in Benshiem, Germany. He preceded her in death on April 24, 1981. Daniella Sailed to the U.S. staying with Joe's parents until his return. Daniella and Joe started a blueberry farm on family land in Grand Haven. Daniella also worked at Reichardt's, The Singer Sewing Shop, Floto's and Hidden Grove Nursery where she finally retired at 85. Daniella was a member of St. Patrick-St. Anthony Catholic Church. 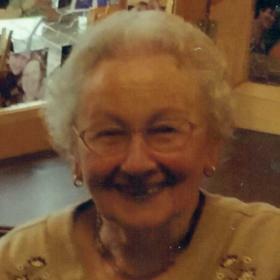 She enjoyed spending time with her family, gardening, birdwatching, sewing, crocheting, knitting and trains. Daniella was an amazing, loving woman who will be remembered and missed by two daughters, Marion (Jerry) Kulwich of Menominee, MI, Shirley (Don) Karle of Grand Haven; two sons, Richard Zintek of Grand Haven, Andrew Zintek of Grand Haven; 7 grandchildren, 11 great-grandchildren, & 2 great-great grandchildren. She is preceded in death by her daughter, Susan Zintek; sister, Stefica Bec; brother, Zvonko Bec; son-in-law, Roger Botbyl. Saturday, December 29, 2018, 11:00 AM with visitation one hour prior to the service at St. Patrick & St. Anthony Catholic Church. Internment in Historic Cemetery - Grand Haven Township. Memorial: In Lieu of flowers, memorial contributions in memory of Daniella can be given to Hospice of North Ottawa.